If you run a business or are self-employed you likely are required to pay federal quarterly tax payments. 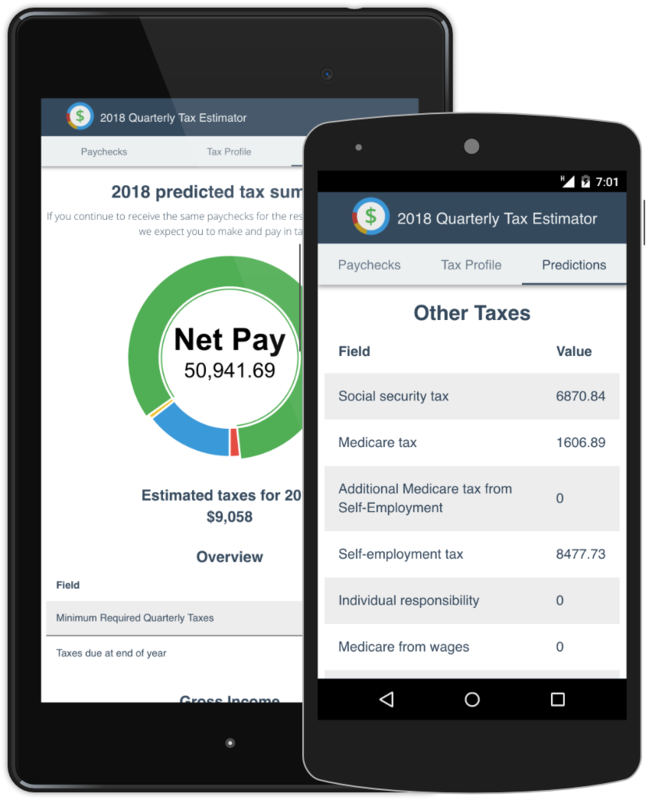 The 2018 Quarterly Tax Estimator is designed to be easy to understand and do the complicated math for you so you have a good idea what you'll owe in quarterly payments. Save a reasonable amount in taxes each paycheck. Avoid saving too much or little to reach taxes owed at the end of the year. 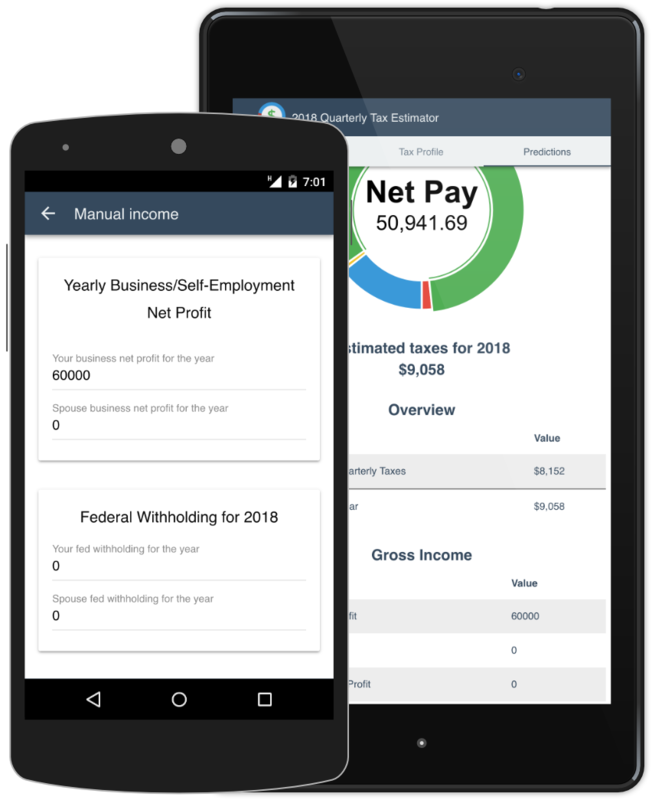 Calculates social security, medicare, and federal taxes on business/self-employed income. If you or your spouse also earn wages you can see federal withholding. 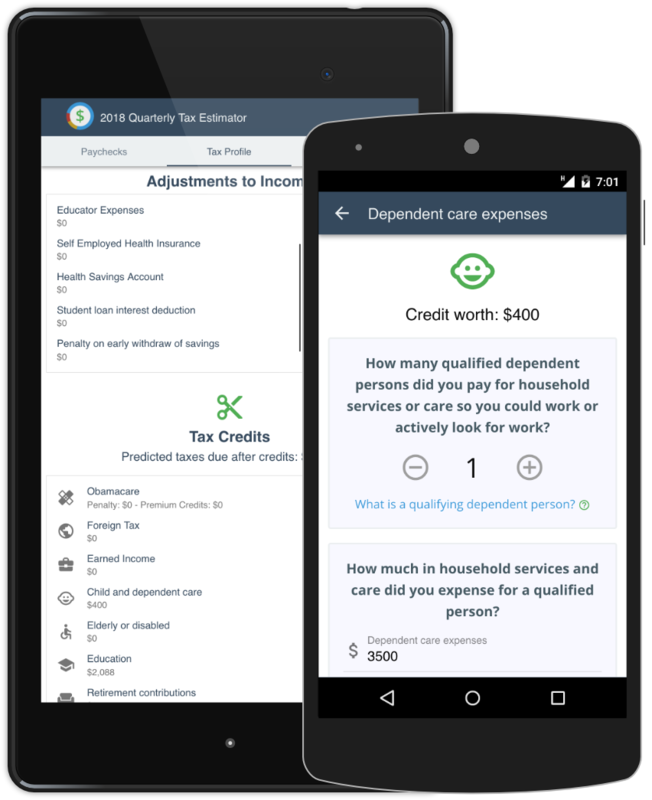 Understand how tax credits and adjustments will affect your income and reduce estimated taxes. Does a tax credit make a big enough dent to be worth the investment? Curious about what amount of taxes you'd owe with different incomes? Ignore entering information one paycheck at a time and instead enter one dollar-amount of expected income for the whole year. 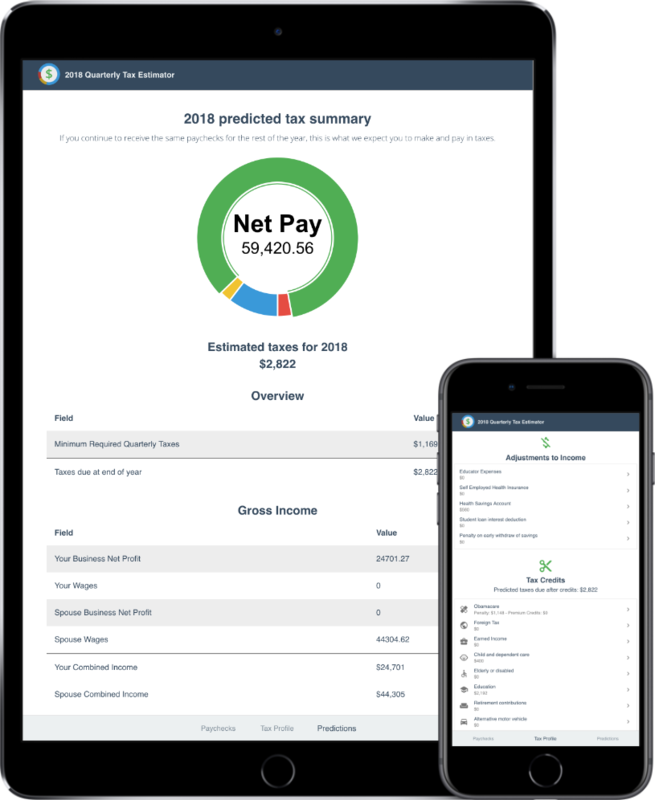 The predictions tab will show estimated taxes based on the year's dollar-amount. 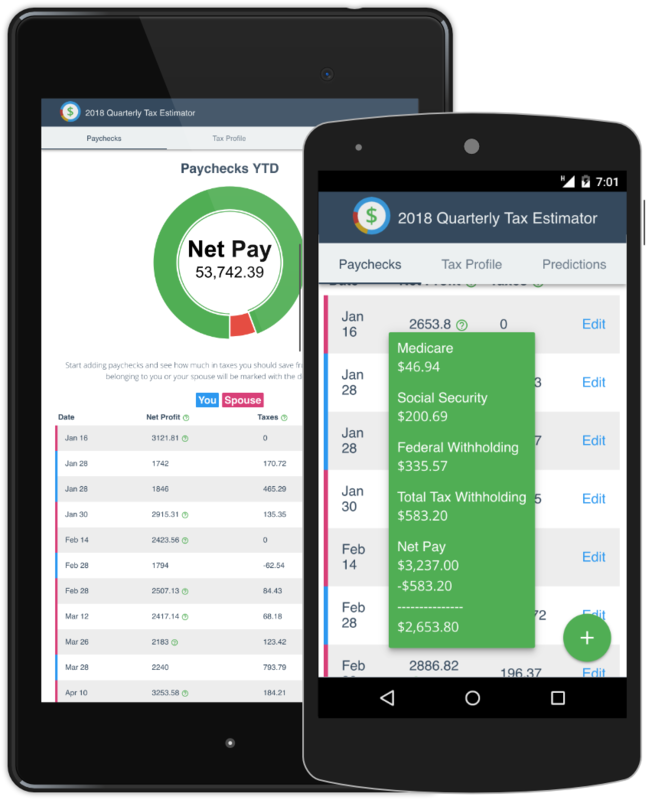 Each paycheck entered makes income predictions more accurate. A month's income, including past months' income, is projected into a yearly estimate on a rolling basis. For example, say you made $30k in the first tax quarter (Janurary - March). That's 3 months out of the total 12 per year that have gone by. Your projected income would be $120k for the year. And owed taxes would be based on that amount. If you have any constructive feedback, requested features, an encouraging word, or want to report any bugs and errors, please don't hesitate to contact the owner. We are happy to hear from you.